We are proud and excited to inform that as of this month, we have stopped handing out plastic water bottles on all Elephant Hills tours! We have been working hard on reducing plastic waste in our camps and are absolutely thrilled to share this latest achievement. Our guests have been very supportive, and we have received amazing feedback on this project. This definitely strives us towards further improvements on sustainability. 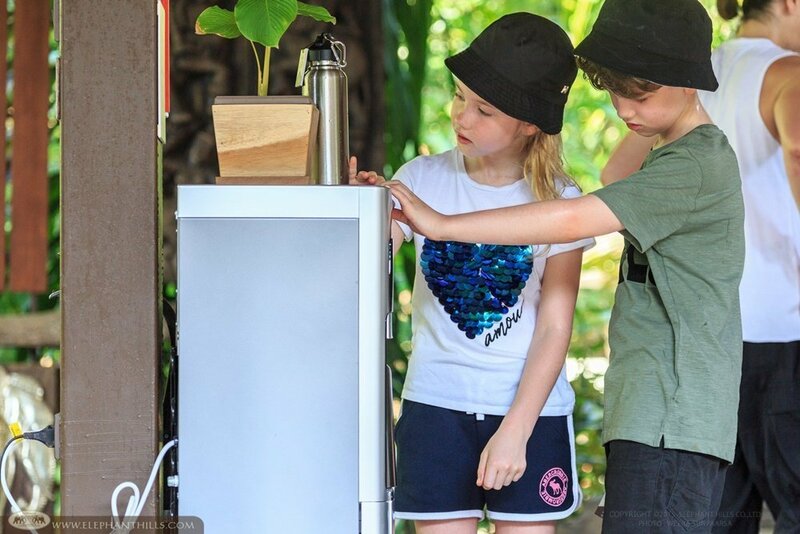 For several years now, we have provided complimentary fill up stations for drinking water in our camps. 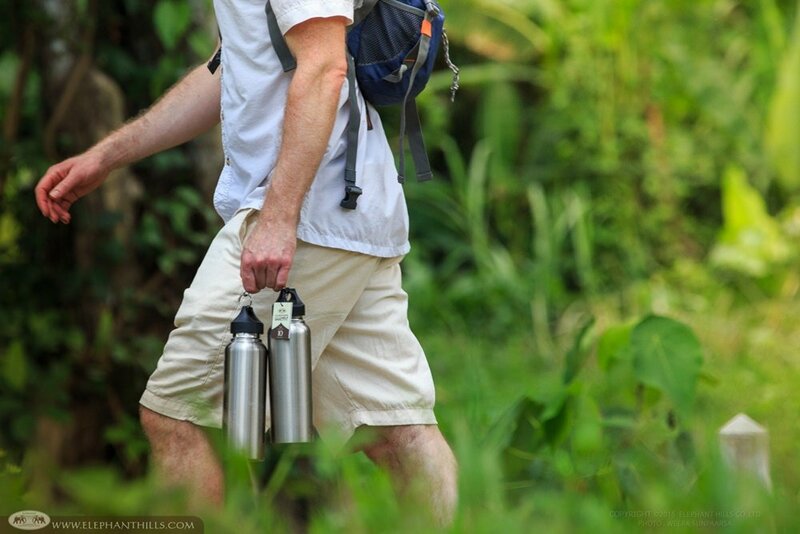 Furthermore, we have encouraged our guests to bring their own reusable bottles when joining our tours. 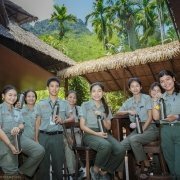 In order to ensure that everyone will be able to join our efforts reducing plastic waste when visiting us in Khao Sok, we have now started to hand out stainless steel bottles upon check-in. 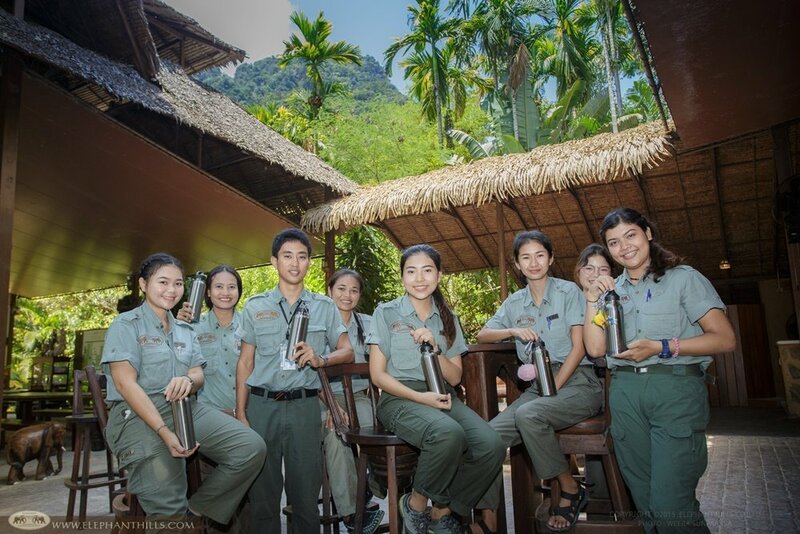 Some of our guides and interns with their reusable bottles, ready to welcome guests! 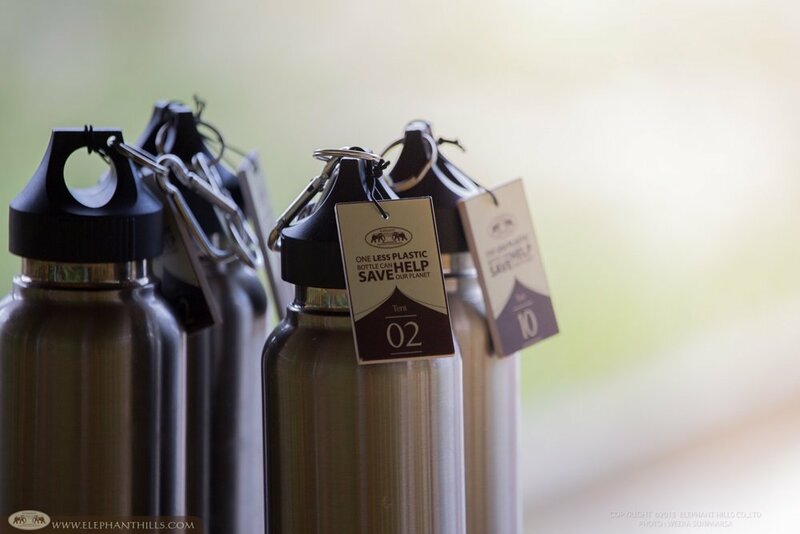 Every guest arriving to Elephant Hills will receive a stainless-steel bottle, which they can use throughout their stay with us. This service, including the fill-ups, is completely free of charge. 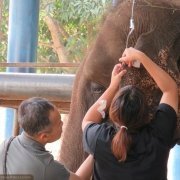 If a guest would like to keep the bottle at the end of the tour, it can be purchased for a price of 250 THB upon check-out. 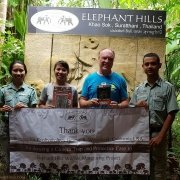 After returning, the bottles will be thoroughly cleaned and handed out to the next group of guests starting their Elephant Hills adventure. 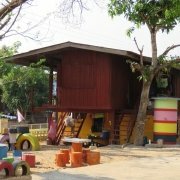 We have also removed plastic bottles from our rooms and minivan transfers. 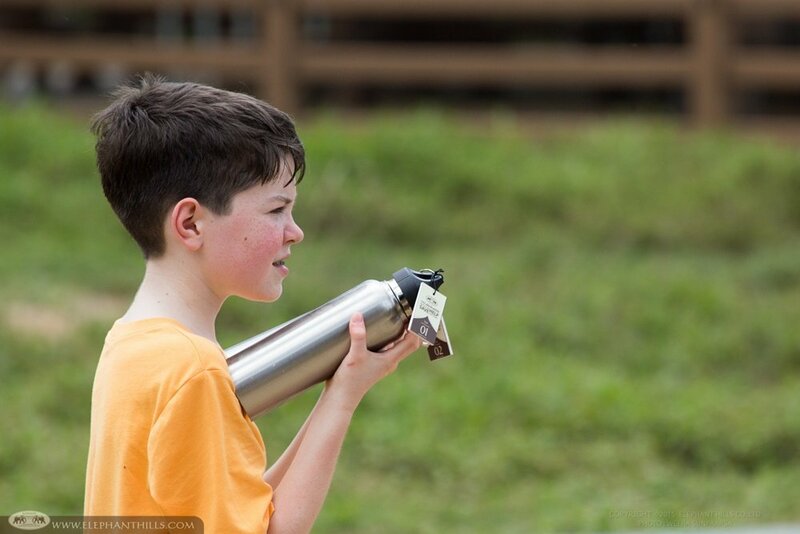 The drinking water in tents and transfers is now provided in reusable glass bottles. These can be used several times, and eventually recycled. We didn’t leave it there, but also decided to completely stop selling plastic water bottles in our bars and cafés. Instead, we offer pure mineral water from Khao Yai mountain range, in bottles made from plants, as a part of our drink selection. 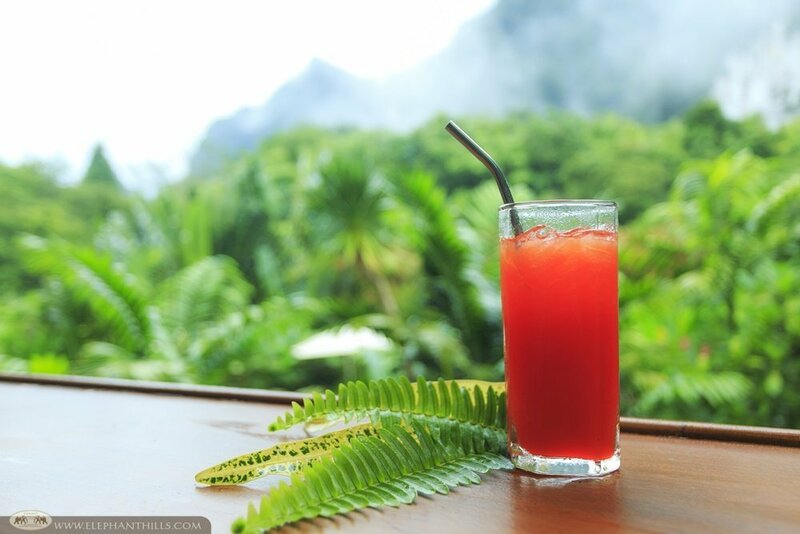 For about a half a year now, we have been using reusable stainless-steel straws on all drinks and cocktails served in our camps. 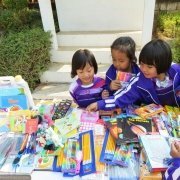 We have also stopped handing out items with single-use plastic wrapping, such as refreshing towels and snacks. Soap, shampoo and conditioner in our tents come in refillable ceramic dispensers. All of these changes have been much appreciated by our nature-loving guests, and we are currently working on further reducing plastic where possible. 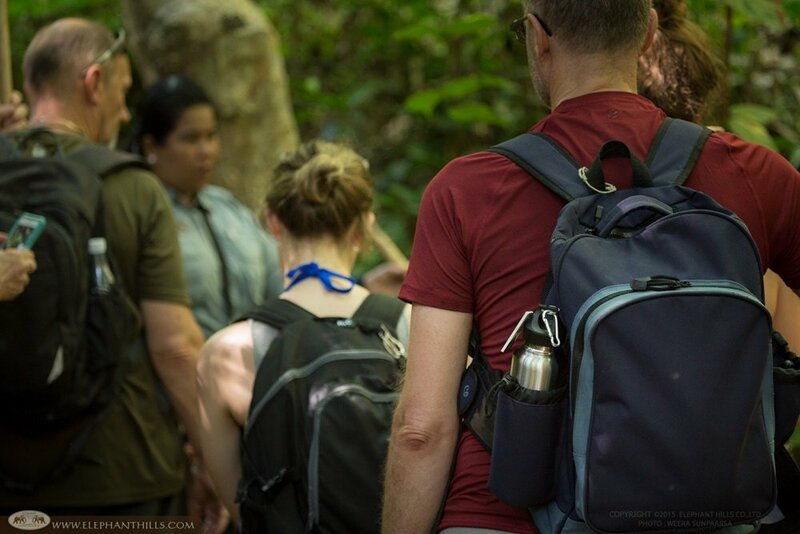 We are based in one of the world’s oldest rainforest areas and are surrounded by the lush evergreen forests of Khao Sok National Park. Needless to say, nature and its well-being are very important to us and our visitors. We believe, that no one today can close their eyes of the major negative impact the plastic waste is having on the Earth. 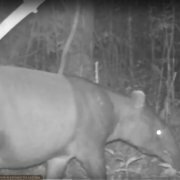 However, changes towards more sustainable resort operations and living are not always easy. Everyone entering a convenience store in South East Asia and many other areas, can witness the abundance of plastic. Vast majority is meant to be used once and then thrown away. In most grocery stores in Thailand, one can only dream of a “no plastic bag” policy. Not to mention, an opportunity to buy fresh produce or dry bulk products in your own reusable bags or jars. Simply buying a cup of local iced tea at a street stall often leaves you with four pieces of single-use plastic. On the other hand, this part of the world also has wonderful local markets full of fresh vegetables and various food ingredients. The produce is often brought in large containers or bags and then placed on tables, baskets or on top of a banana leaf on the ground. The markets provide an excellent opportunity to reduce plastic. That is, if you are quick enough to refuse a plastic bag and promptly hand out your own cloth bag for packing the goods. The conditions for reducing plastic may not be equally favorable worldwide. However, the willpower and determination should be equally strong, if not stronger. Every plastic bag refused, bamboo toothbrush bought, or piece of rubbish collected from the nature should be praised and celebrated. Albeit major changes and improvements are needed globally, everyone needs to start from small daily acts. This is what we are trying to teach our staff too, and have included sustainability on the agenda for upcoming staff trainings. Luckily, the environmental awareness is slowly but steadily increasing also in the less developed countries. More information of the state of the environment reaches more and more people, encouraging the change in mindsets. 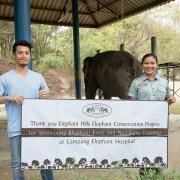 We at Elephant Hills want to be part of that change and are committed to seeking more ways of reducing our impact on the environment. Our youngest visitors are particularly keen on using the bottles, and especially the filling up part! We sincerely thank our wonderful guests for supporting our efforts!